Laika continues to push the barrier and further explore the art of stop-motion animation in order to deliver a perilous yet pathetic movie that powerfully touches the hearts of adults and children with "Kubo and the Two Strings". Set on Ancient Japan, Kubo (Parkinson) casts on an adventure with his "two strings" to seek the truth about his identity. It is a beautifully-shot animated film that balances the weight of being effectively spooky and occasionally funny. And while the story is not necessarily compelling, there are certain moments where we are rooting for our well-developed heroes to let them shine in their respective roles, supported with great voice performances. While Charlize Theron and Matthew McConaughey's magnetic heroic characters are well-developed, the antagonists' main goals are not as appealing as it seems to be. 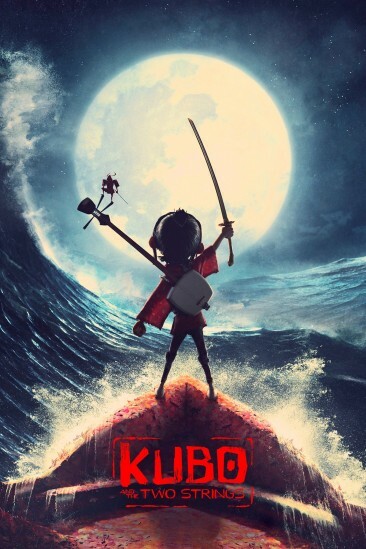 VERDICT: Filled with breathtaking landscapes and thrilling sequences, Kubo and the Two Strings escalates the level of animation to the grandest scale, while diminishes by faltering through the sometimes clunky screenplay.